When your child is struggling with a math problem, encourage her/him by looking for right mathematical thinking. Math is not a race; do not time your child when she/he is working on math fluency. Never share with your children the idea that you were bad at math at school or you dislike it, especially if you are a mother. 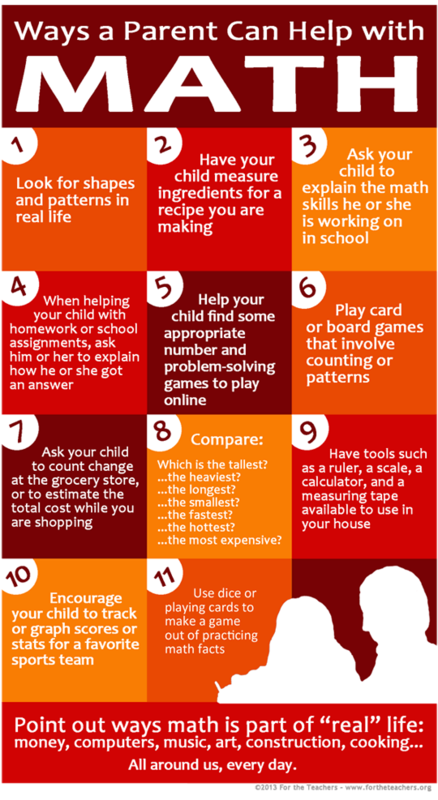 Encourage number sense-the ability to separate and put numbers together flexibly-by talking with your child about how you solve math problems. Encourage a growth mindset, the idea that ability and smartness change as you work more and learn more. 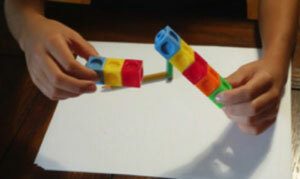 Snap It: This is an activity that children can work on in groups. Each child makes a train of connecting cubes of a specified number. On the signal “Snap,” children break their trains into two parts and hold one hand behind their back. Children take turns going around the circle showing their re- maining cubes. The other children work out the full number combination. Example: if I have 8 cubes in my number train I could snap it and put 3 behind my back. I would show my group the remaining 5 cubes and they should be able to say that three are missing and that 5 and 3 make 8. The aim of the activity is to match cards with the same numerical answer, shown through different representations. Lay all the cards down on a table and ask children to take turns picking them; pick as many as they find with the same answer (shown through any representation). For example 9 and 4 can be shown with an area model, sets of objects such as dominoes, and the number sentence. When students match the cards they should explain how they know that the different cards are equivalent. 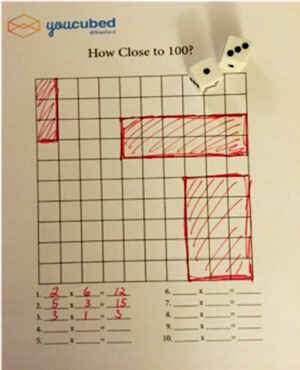 This activity encourages an understanding of multiplication as well as rehearsal of math facts. Remove the face cards from a deck of playing cards. The ace represents one and all other cards carry their numerical values. Deal each player three cards. 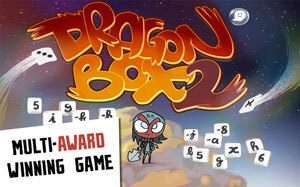 Each player must use two of the cards to make a two digit number. The third card will be the multiplier. Example, if a player draws a 1, 5, and 8, he could use the 1 and the 5 to make the two digit number 51 and multiply by 8 for a total of 408. The player with the largest product gets the cards. Variation/Extension: Students may want to create their own recording table in their math notebook to record their equations showing the standard algorithm or strategy used to solve the equation. Students may also want to use a calculator to check their work. How Many Are Hiding? In this activity each child has the same number of cubes and a cup. They take turns hiding some of their cubes in the cup and showing the leftovers. Other children work out the answer to the question “How many are hiding,” and say the full number combination. Sort through the deck to remove all cards that are higher than that featured number for the math game. For example, if the goal is to learn addition facts for the number seven, the game will be played with ones (aces) through sevens. Deal out five cards to each player and place the remaining cards in a draw pile. Have each player look through his or her hand of cards to find any pairs that add up to the featured number and place them face up in their discard pile. For example, if learning addition facts for the number seven, appropriate pairs would be 6+1, 5+2 or 4+3. The 7 card would also be laid aside as a correct solution that doesn’t require a pair. The person to the left of the dealer may now ask any other player for a card that will help create the sum required. If the person asked has the card in his hand, he must give it up to the player that made the request. 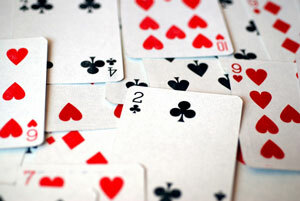 A player can keep asking for cards until no further matches are able to be made, at which point he is told to Go Fish! from the draw pile and the next player takes a turn trying to make a match. If a player runs out of cards he can choose five more cards from the draw pile to stay in the game. Continue playing until all the cards in the deck have been matched into pairs. 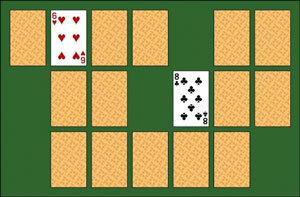 The player with the highest number of pairs at the end of the game is the winner. How Close to 100? This game is played in partners. Two children share a blank 100 grid. The first partner rolls two number dice. The numbers that come up are the numbers the child uses to make an array on the 100 grid. They can put the array anywhere on the grid, but the goal is to fill up the grid to get it as full as possible. After the player draws the array on the grid, she writes in the number sentence that describes the grid. 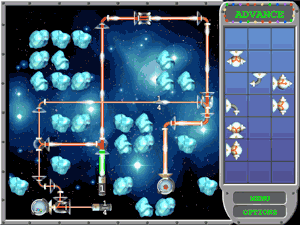 The game ends when both players have rolled the dice and cannot put any more arrays on the grid. How close to 100 can you get? Sort through the deck to remove all cards that are higher than that featured number for the math game. For example, if the goal is to learn addition facts for the number six, the game will be played with ones (aces) through sixes. Shuffle the deck and turn all the cards face down in a grid pattern. Taking turns, have each player flip two cards to look for a matching pair. For example, if learning addition facts for the number six, appropriate pairs would be 5+1, 4+2 or 3+3. The 6 card would also be laid aside as a correct solution that doesn’t require a pair. 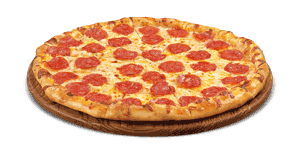 Example: I roll a dice and get 4 so I draw 4 big pizzas. I roll again and I get 3 so I put three pepperonis on each pizza. Then I write 4 x 3 = 12 and that tells me that there are 12 pepperonis in all. 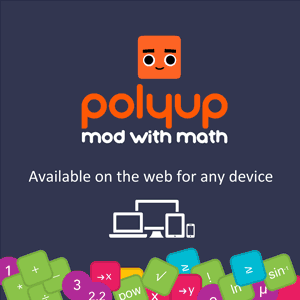 Polyup is a free and open computational thinking playground that teaches math reasoning and fluency skills for 3rd - 5th and 6th - 8th grade students and beyond. Super engaging--give it a try! 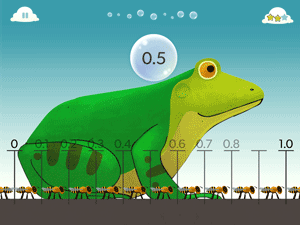 Motion Math offers a suite of engaging games that explore number sense, fractions and other mathematical concepts through visual representations. You can really see the math ideas! Bedtime Math wants to help parents make fun math a part of their kids’ and families’ daily routine, as common and beloved as the bedtime story. 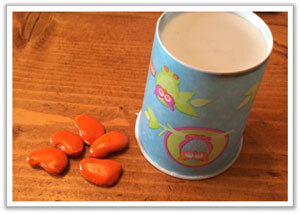 We make it easy to roll math into the day, whether at bedtime, bathtime, or snacktime. Mathbreakers lets you play with math while exploring a 3-D virtual world, filled with number creatures and mathematical machines. It also helps the development of number sense conceptually. 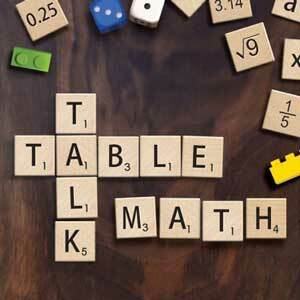 Table Talk Math is a weekly newsletter that aims to provide clarity for what students could be doing to increase their math fluency and also provide prompts to discuss around the dinner table (or anywhere, for that matter). Now Table Talk Math can be purchased as a book as well to math educators and experts from around the world offer ideas and share stories about ways in which parents can engage their children with a math-based conversation in an easy-to-read format and plenty of examples. The standards, by grade level. From the California Department of Education.